Paris, I’ve learnt, is most rewarding when you simply make it your own. It is a city made for wandering! On a sweltering summer’s eve, a stroll along the Seine from Notre-Dame to Eiffel Tower reveals half the city emptied along the left bank, picnicking and partaking in an extraordinary amount of glistening rosé. On the following Sunday morning (when it's suddenly grey and drizzly), the Georges Pompidou expressway along the Seine’s right bank closes to motor vehicles; the normally frantic stretch is quiet and poised, cyclists and joggers and fisherman slipping through in a hushed truce with the traffic. Explorations of the cosy, cobbled streets of the Marais district give a rare glimpse into medieval Paris before Napoleon came along with his sweeping squares and boulevards. And oh, the delight in being swallowed up by the Art Nouveau entrances of the Métro, where a whole other Paris shines in fluorescent! Or simply take up residence at a little table on a cafe terrace, café au lait in hand, and watch the world go by (prepare for anything – I've watched in awe one day as an unattended dog took an absurdly large amount of poops all along Boulevard Saint Germain. He truly looked like he was having the best day of his life). I hear a lot of people say that they were disappointed by Paris, which naturally makes me sad because I think it’s so wonderful. I think a lot of people must find it overwhelming; the city is so heavy with history and culture, and the mad dash to tick off Eiffel Tower and Louvre and Notre-Dame and Sacré-Cœur and everything else in between is exhausting. It is entirely okay if you don’t see those things! Polishing off a fresh croissant in bed at ten in the morning because you’re quite content gazing out over the sea of grey-blue rooftops can be just as rewarding. Eating Chinese noodles and Japanese sushi in Paris might sound like treason, but they made up some of the best experiences I've had in Paris. We didn’t make the trek out to Versailles (we traded for Netflix nights with instant noodles) nor even Montmartre (we had daily dalliances with the over-friendly men from the Gare du Nord station instead). Our Paris was eating and wandering and giving ourselves permission to simply do what we love. 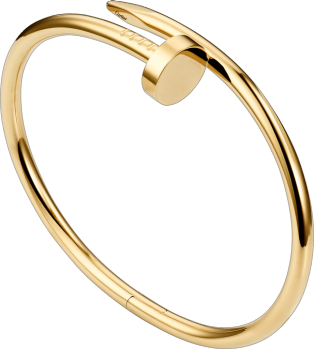 In collaboration with Cartier for Amulette de Cartier, LOVE, Juste un Clou Collections.